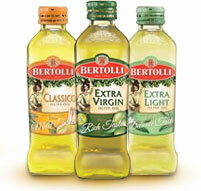 If you will be cooking up a storm this holiday season, then be sure to keep your cell phone handy and your eyes peeled for Bertolli’s QR code campaign, which will be featured on their olive oil in grocery stores across Canada. During the months of November and December, Bertolli will be giving shoppers the opportunity to sign up to receive coupons and recipes perfect for holiday entertaining, and donating $2 to Canadian Feed The Children for each code scanned or text submitted. Find the Bertolli bottle with the special packaging on shelves as of early November and simply scan the code with your smartphone or text the number listed on the bottle. It’s that easy! This nationwide campaign has the potential to help improve the lives of many children this holiday season, and CFTC thanks Bertolli along with all Canadians who participate! Happy cooking!